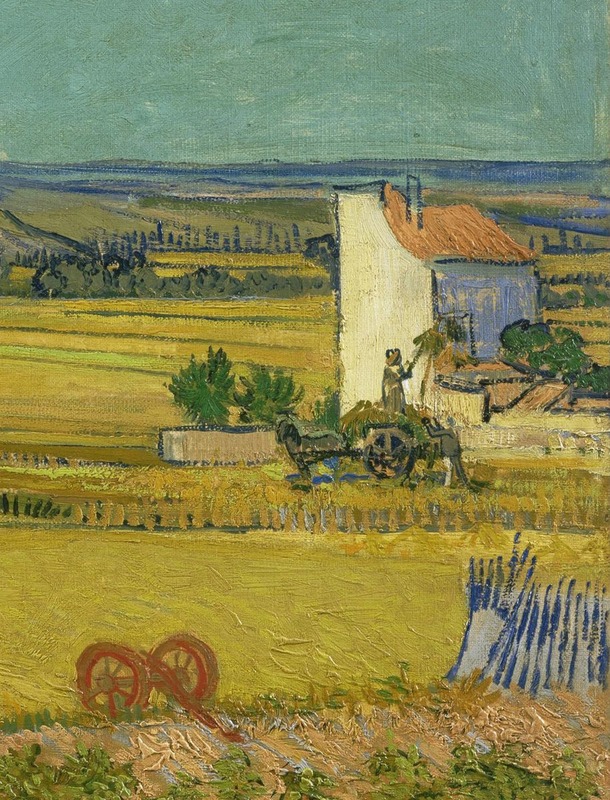 You can almost feel the dryness and heat in this painting of the flat landscape around Arles in the south of France. 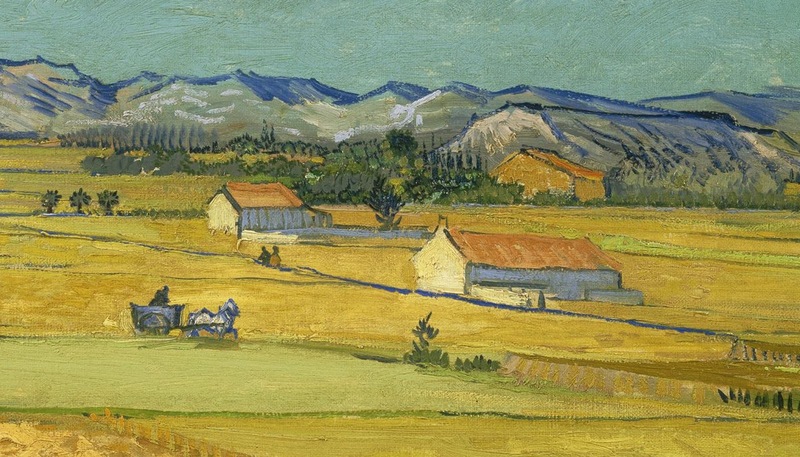 Van Gogh combined the azure blue of the sky with yellow and green tones for the land to capture the atmosphere of a summer’s day. He worked in the wheatfields for days at a time under the burning sun. This was an immensely productive period, in which he completed ten paintings and five drawings in just over a week, until a heavy storm brought the harvest season to an end. 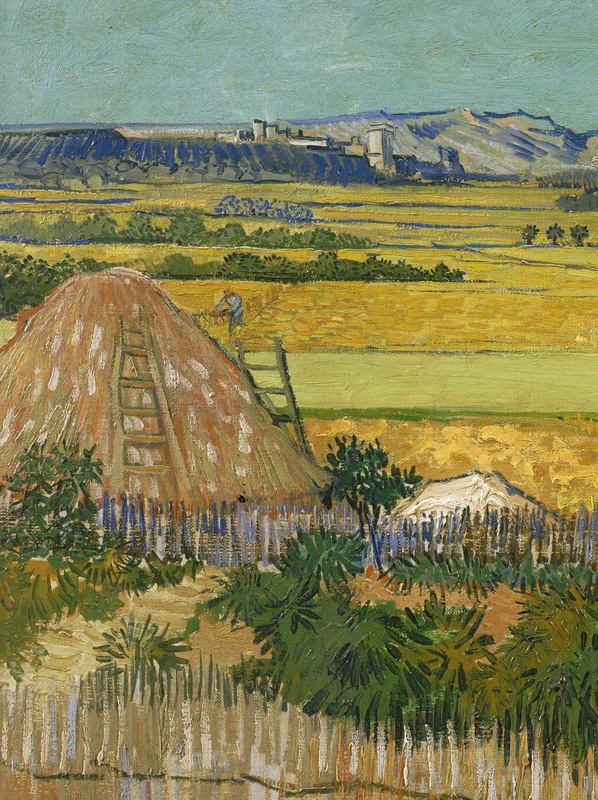 Van Gogh wanted to show peasant life and work on the land – a recurring theme in his art – and painted several stages of the harvest. 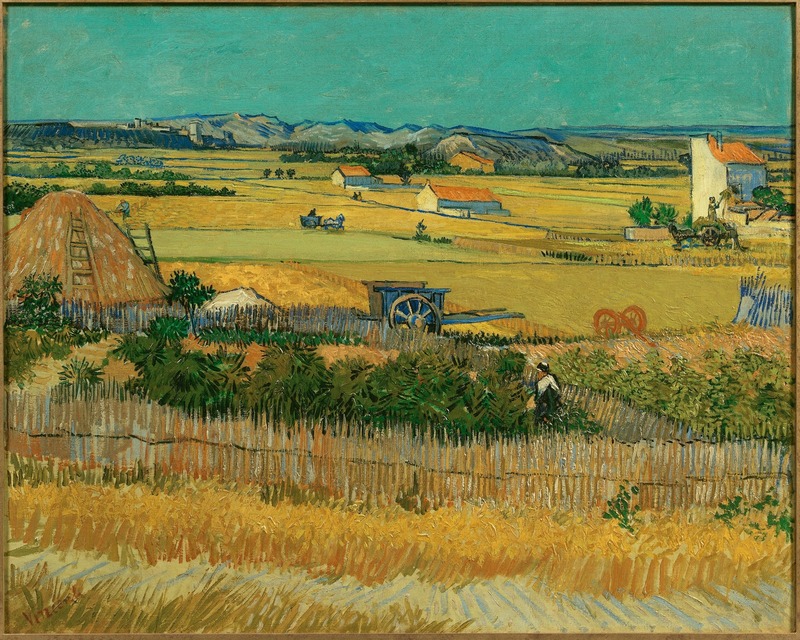 We see a half mowed wheatfield, ladders and several carts. 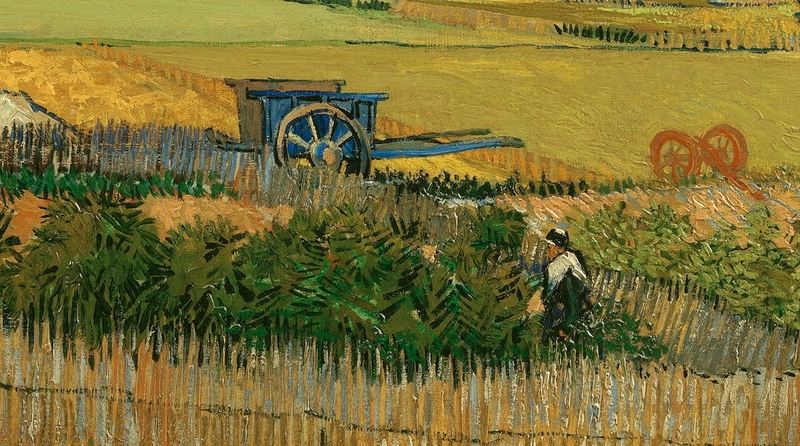 A reaper works in the background, which is why he titled the work La moisson or 'The Harvest'. 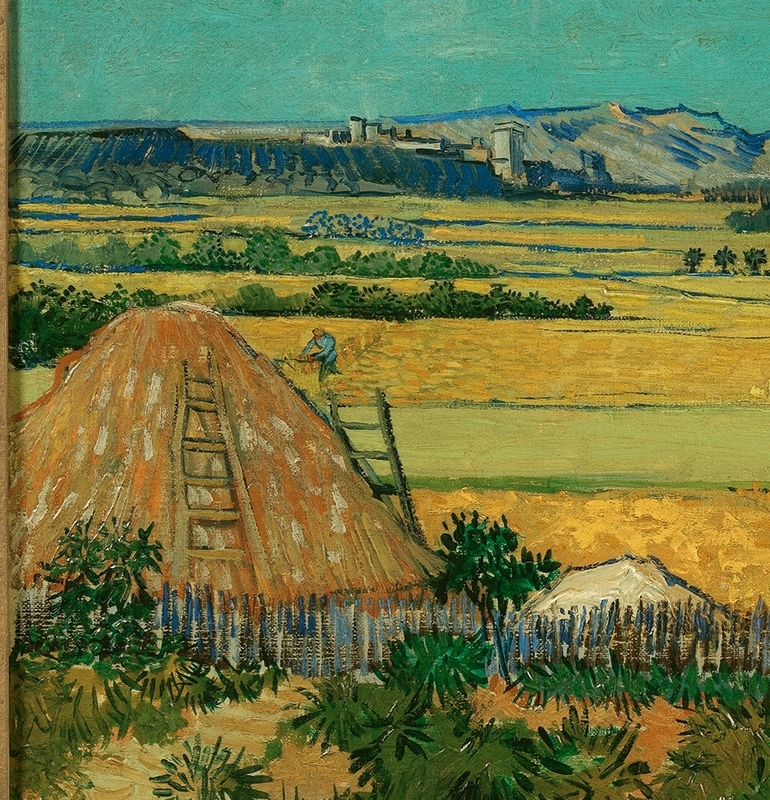 Van Gogh considered it one of his most successful paintings, writing to his brother Theo that the ‘canvas absolutely kills all the rest’.